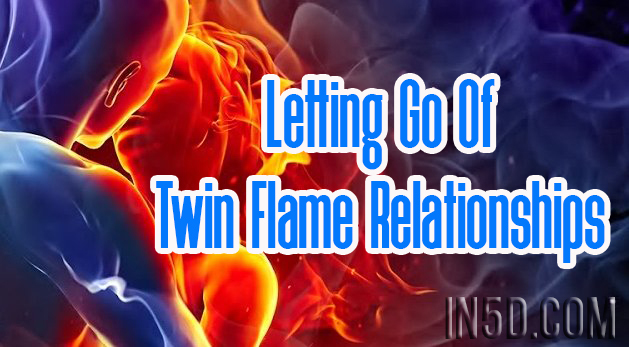 I had not heard of the idea of twin flame relationships until about a year ago, even though I have deeply been in spiritual awakening ‘circles’ for many years. It just didn’t cross my path of awareness until then. In many ways, I am glad that I didn’t know of it or what it offers before, as parts of me would have grabbed at it with previous partners before my partner Raphael and I came together nine years ago. Part of me would have made every man I was in relationship with who shared soul frequencies with me or karmic binds or hot body talk or ALL of it into THE twin flame and I feel that much personal suffering would have resulted in believing that truth. This can be a precious thing to parts of people, this sense of someone being their ‘twin’, so I want to say that I am offering an invitation to feel it differently and to let in a new perspective in order to bring some AIR and metaspace into it. In my feeling sense of it through what I have seen online and also in my work with people through SoulFullHeart, parts of people can use the idea of someone being their twin flame to loop in patterns of suffering, drama trauma, toxic codependence, and just overall to justify much push-pull in the relationship. By feeling that someone is your ‘twin flame’ and holding onto this very tightly, you are messaging that ONLY this person can truly see and get you. ONLY this person can truly make you happy and allow you to fulfill your soul purpose. ONLY this person can meet and match you. Yet, at the same time, when this person doesn’t show up for any of these things or maybe only some of them, they are proving that they are actually not the ONLY one and in fact NOT the one at all, yet parts of you then are in denial of this using the twin flame idea to hold on to the illusion. The twin flame picture also focuses so exclusively on the CAPACITY of the bond and seems to ignore the ACTUAL transactability of the relationship in the very important domains of heart, body, soul and mind and also related to everyday living compatibility and just overall experience of goodness. It also focuses on needing the ‘twin’ as a mirror rather than the mirror that is offered of self BY self and through embracing your own healing and transformation ABOVE all else and ABOVE what any romantic partner can offer you, which is what feels far healthier. There is an advocacy for codependency in the twin flame idea and, also, that if it doesn’t work out immediately you are justified to wait for your twin for as long as needed until it does! Romantic relationship, I feel, is THE most challenging ground to navigate with emotional maturity because it so triggers our deeper, unfelt subconscious wounds from childhood AND our soul karmic patterns from other lifetimes. ANY mate for which there is the capacity to experience transaction in heart, soul, body, and mind domains is going to trigger and push up very strong projections from any unhealed frequencies inside of us. If parts of us are looking for the ‘ideal mate’ (usually this is connected to our heartbreaking and harmful experiences with our parents), then anything will be used to prove this point that the partner is the ideal mate even when actual experience is not showing or offering us this. I prefer instead to offer an invitation into sacred union grounds with a counterpart mate, which I feel is someone for which you share many other lifetime chapters and experiences as Metasoul aspects or Metasoul brother and sister expressions. Counterpart souls share many timelines together with corresponding Metasoul expressions in opposite gender pairings during these lifetimes. One seems to ‘choose’ masculine expression and the other feminine. Each connection with these Metasoul pairings infuses our this life relationship with expanding frequencies of soul connection, soul purpose clarity, healing of karmic binds and patterns, and can be linked to emotional wounding expressions from this life too. I also am very open to that we have MORE than one counterpart mate and, also, to live fully into the experience as it is happening to us, as I do on a daily basis with Raphael. Whether you call it Twin Flame or Counterpart Soul Mate, though, it all comes back to the relationship that you have to the relationship. How are parts of you relating to the relationship? Is there a strong projection of dad wounding and dad onto your partner? A strong projection of mom wounding and mom onto your partner? Is there a grabbing and clinging and shrinking energy from parts of you onto your partner? Is there a sense of suffering over suffering in your experience of the relationship? Are there push-pull energies between you and many phases of openings and closings? The answers to these questions reveal where the next places are for you to go within yourself and are actually NOT about the actual transactability or even capacity of the bond at all. The focus can be SO outward, parts of you perhaps fixated and even obsessed with the partner and being on ‘their side’ so much. This happens in order for part of you to divert you from going within, to distract you from going to where the pain is ACTUALLY originating from, which is NOT from your partner but actually from INSIDE of you. ALL relationships offer a mirror in that and an invitation to go within, whatever they are labelled or felt to be. The challenge comes in actual accepting and going into the crucible INSIDE that is offered from relationship as it is much ‘easier’ to focus on the partner instead. Your most truly nourishing sacred union partner, ultimately, is yourself. It is the partner that will never leave you and the one for which you are most meant to BE with. It can take much process to feel that way about yourself and connection with the aspects of you (both feminine and masculine) that have formed into a usually subconscious partnership inside of you. Yet, as you become conscious of the inner partnership, as it matures through differentiation and feeling of yourself, so does the richest and MOST nourishing mateship arise from INSIDE. And then can this self generated nourishment and union of self connect with OTHER in a dance of two healthy “I’s” exploring the rich ground offered to them by their USness. 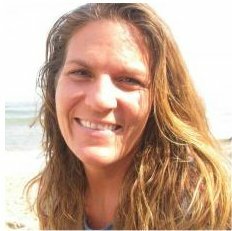 About the author: Jelelle Awen is an Emoto-Spiritual Teacher, Sacred Feminine and Sacred Union Facilitator, Soul Scribe, WaySHOWer, and Co-creator and Teacher of the SoulFullHeart Way Of Life. She is author of Sacred Human, Arising Wonder: Ascension Through Integration Of Your Emotional Body And Your Spiritual Awakenings and Keep Waking Up! : Awakening Journeys To Avalon And Beyond . Visit soulfullheartwayoflife.com for more information about space holding sessions, group calls, videos, community, etc.